In organisms, except for a few existing in free states, most metals bind to biomolecules to form organic compounds or salts. 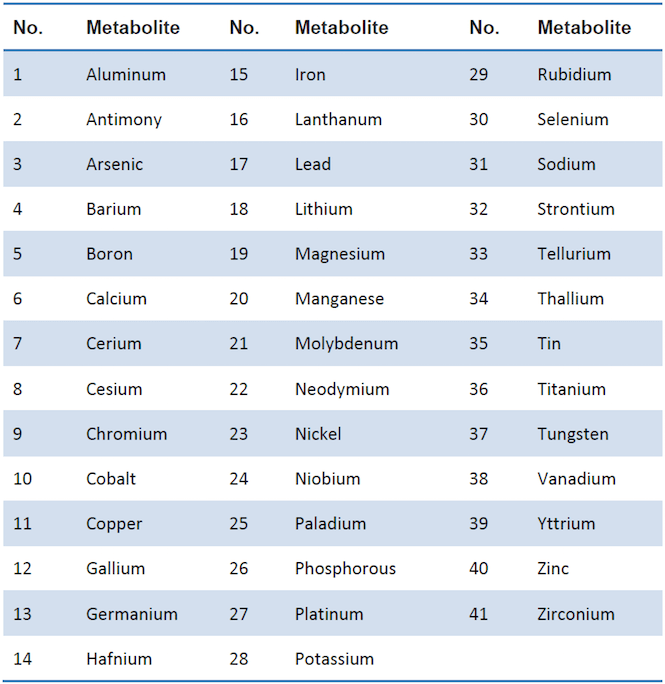 Metals are extremely important for biological processes. Many metals act as cofactor for enzymes, and change the enzyme activities. MtoZ Biolabs offers metallomics analysis service using ICP-MS, which has characteristics of high accuracy, specificity, and sensitivity. We guarantee accurate analysis of metals even in low abundance. With our optimized sample preparation methods, interference from high-abundance dominant metabolites can be hugely reduced, thus further increasing detecting sensitivity.